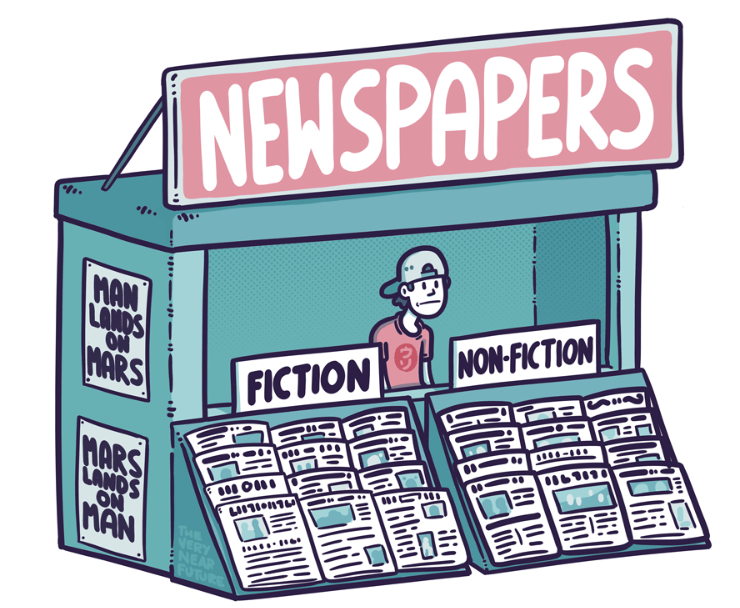 In this era, a large amount of information is being put out daily on the public domain for us to consume. A number of news outlets and individual organizations are involved in this process of refining facts. With such a humungous amount of information being poured out from all sides, the news media has become more influential and opinionated today than ever. What you read and what you see, shapes your thinking. With prime-time debates encouraging to share opinion and agenda rather than a civil discussion. How do we decide who to trust and follow? It’s more important today than ever to know if the news is accurate and unbiased as it should be, or it is highly opinionated. First, if you really care about a particular issue, critically scrutinize everything you see about it online. Cross check everything from a multiple of outlets. Second, Don’t forward the evoking messages you see online on Facebook and Whatsapp before cross-checking them for errors. That said, here is a list of Five news organizations, who according to our research are working tirelessly to bring forth the “news” and cut the crap. They are independent organizations who don’t have any political influence and according to our review, they have been true to their cause. Known for its critical analysis of the BJP led government, the Wire has some of the big names in honest journalism contributing to it. Karan Thapar, a senior television interviewer is one interviewers for the website. The Wire faced a lawsuit by Jay Shah (s/o) Amit Shah the president of BJP party, where he filed a defamation case against the editors of The Wire for printing an article titled ‘The Golden Touch of Jay Amit Shah‘. The Wire depends on the contribution from its readers and is independent of any political affiliation. It was published by the Foundation for Independent Journalism, a non-profit Indian company. Founded in 2015 by editors Siddharth Varadarajan, Sidharth Bhatia, and MK Venu, The Wire continues to grow in realms of honest journalism. Known for its undercover investigative journalism, the Cobra post, an Indian non-profit journalism company was founded by the co-founder of Tehelka, Aniruddha Bahal in 2003. Cobra Post has been constantly releasing sting operations on major companies and new organizations. In their Operation 136, the Cobra Post exposed how many Indian media houses were willing to promote Hindutva, lead communal polarisation for electoral gains, defame political rivals and execute nefarious political campaigns for money. The exposed claims to have been established, (with alleged clinching evidence) for the first time in the history of Independent India, highlighting how Indian media houses reportedly influence the country’s electoral process through undesirable means. Undercover reporter Pushp Sharma, assuming an alias, interacted with owners and personnel of various media houses, promising doles ranging from 6 Crores to 50 Crores, in exchange for extending their platform to advance his own media campaign. Started by an engineer Pratik Sinha, Alt News is an Indian fact-checking website. Seeing the growth of fake news outlets and internet trolls, Sinha started the website in 2017 to fight the growing fake news industry. The website provides knowledge about any fake news that is published and debunks it. Sinha has compiled a list of more than 40 of what he describes as fake news sources, most of which he says support right-wing views. According to the BBC, a report by Altnews in June 2017 demonstrating that the Indian Home Ministry had used a picture of the Spanish-Moroccan border to claim it had installed floodlights on India’s borders led to the ministry facing online mockery. With a continuous growing presence on social media with there short explanatory videos, The Quint started 6 months after Raghav Bahl, the founder and former managing director of Network 18 exited form it, in 2014. With a multi categorised website and publishing news in all of its the major format like The Wire, the Quint is one of the fastest growing digital news platforms in the world’s fastest growing economy. We bring into sharp focus the most important political and cultural stories that are shaping contemporary India. Our goal is to add critical perspectives to these stories through rigorous reporting, objective analyses, and expert commentary. In our search for finding news outlets that can be trusted and have a reputation of being honest and unbiased, these are the top five news sources we trust. Needless to say, we are not affiliated to them in any way. We can never stop sharing propaganda and fake news in these times of heightened social media activity in our country. It has become very easy to spread and share news mixed with opinions. In order to fight fake, opinionated, propagandist news, stopping them or trying to shut them off is not an option.If you shut one, another one will somehow take its place. And “that” is the amount of information out there that needs to be filtered. A solution to this can be educating the consumers to start thinking critically and treat every news they see online or on WhatsApp with a considerable amount of scepticism. If we all dig deeper and we will be able to see how wide a crack divides the media of our country and how it can impact our future.